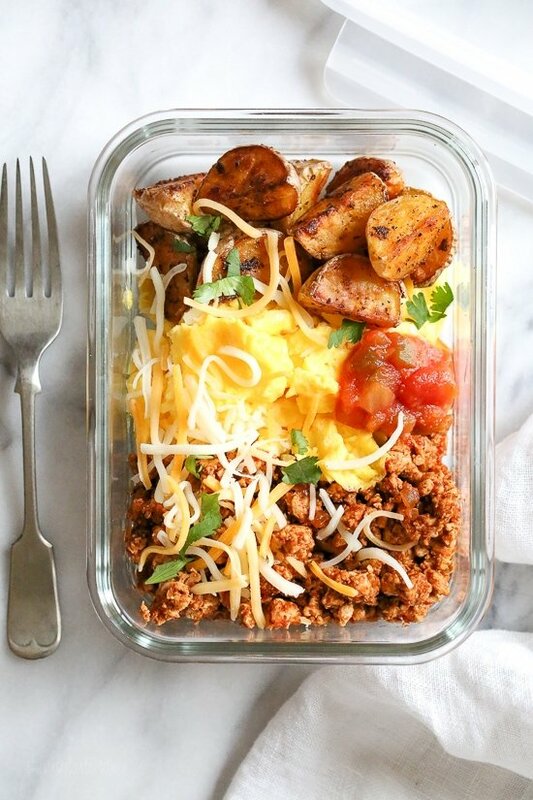 Breakfast lovers, jazz up your mornings with this Meal Prep Breakfast Taco Scramble, made with potatoes, turkey taco meat, scrambled eggs and salsa (cheese is optional!) perfect to make ahead for breakfast for the week! Eating a healthy breakfast during the week is easy when you meal prep. Prepping for meals ahead that you’re going to eat all week long can be knocked out on a Saturday or Sunday, making the weekdays less stressful. If you’ve been following my free meal plans, you probably know I’ve been incorporating more meal prep recipes in them, recipes you can make once that can be heated up for the week. I created this for all of the breakfast lovers out there! It’s so good, even to eat for lunch if you wish. I tested this to see how it tasted reheated – it was awesome the next day. I’m personally not the biggest breakfast person, except for weekends. My biggest meals are lunch and dinner but my brother loves breakfast and always did, so with him in mind I came up with this savory breakfast. I was actually super hungry after the gym this week, and was so happy when I remembered this was in the fridge. These are the glass meal prep containers (affil link) I have and love. Of course, you don’t have to make this for meal prep. If you wish to make this for the family, feel free to do so and serve them in bowls. In a large bowl beat the eggs, season with seasoning salt and add the cheese. Preheat the oven to 425F. Spray a 9 x 12 or large oval casserole dish with oil. Add the potatoes 1 tablespoon oil, 3/4 teaspoon salt, garlic powder and black pepper and toss. Bake until tender, tossing every 15 minutes, about 45 minutes to 1 hour. Meanwhile, brown turkey in a large skillet over medium heat, breaking up while it cooks. When no longer pink add the spices and mix well. Add the onion, bell pepper, tomato sauce and water. Stir and cover, simmer on low for about 20 minutes. Spray another skillet with nonstick spray, add the eggs, 1/4 teaspoon salt and scramble, cook until just set, about 2 to 3 minutes. To serve place 3/4 cup turkey and 2/3 cup eggs in each plate or bowl, divide the potatoes and top each with 1 tablespoon of shredded cheese, scallions or cilantro and serve with salsa on the side. What kind of adobo seasoning salt did you use? I’m having a hard time finding any. Thanks! Again, you can use any salt but I like Goya adobo. Can you make 7 servings worth for each day of the week? I know 4 wouldn’t be enough for me! How can it be Whole 30 if it has potatoes in it? And of course the cheese (which you say omit for Whole 30). I keep finding recipes on your site listed as Whole 30 that have non-Whole 30 ingredients. It’s frustrating. White potatoes are whole thirty compliant! Instead of potatoes I added leftover veggies, 0 WW smart points and delicious! Didn’t even need salsa, very flavorful! Could you use butternut squash instead of potatoes? Also what would be the points? What is the best way to reheat this recipe? Thanks in advance! I must be honest…I am a SkinnyTaste lover; however, I was apprehensive of this recipe. Looking for a new meal prep breakfast option, I took a chance on this recipe and was, as always, so very pleased! This is a definite on our breakfast rotation. Even my husband gave it two thumbs up! isn’t it kind of hard to meal prep eggs for a week? They get kind of funky when reheated in the microwave. Do you know what the nutrition facts would be without potatoes? I’m trying to stay around 350 cals for breakfast, and I feel like potatoes are too many carbs. Thanks! Sorry, don’t have that info handy. This was delicious and very filling! I’m vegetarian so I used crumbled tofu in place of the turkey and I didn’t have tomato sauce so I substituted some salsa in place of the tomato sauce and water. I can’t believe I had cheese and potatoes and it was only 5 Freestyle points (I even plugged the ingredients into the recipe builder to check!). This is going to be a regular meal in my house! Thanks for the great recipe!! Made this to take to work for my breakfast. Can’t believe how delicious and satisfying it is! Filled me up and kept me full til lunch. I’m trying to cook with less salt so I cut back a bit, was still great! Thanks for such a great recipe Gina ? Looks great but awfully high in sodium to be considered healthy. This recipe is amazing!!! I used ground chicken instead of turkey and my whole family (who is not really interested in healthy eating) absolutely loved this meal. Thank you so much for sharing. I also did the red potatoes in microwave and covered with Saran Wrap stirring half way through and they were done in 10 minutes. I’m sure the oven gets them crispier but I’ll take this shortcut for now. I’m actually going to keep making this after I’m done with whole30 because it’s just soooo good and easy. I can’t eat potatoes so will this recipe work with sweet potatoes? Can I be subbed with egg whites and sweet potatoes? Thanks! Second time I’ve made this recipe. It is very flavorful and filling. Am I reading the recipe correctly?? You need one pound of potatoes? Which should be about 12 baby potatoes?? I got 5 very hearty servings with this recipe. Taco seasoning is perfect. Thanks! My family loves this! We like the homemade taco seasoning so much, it’s all we use now for taco night…no more store bought for us! One time, I didn’t have any potatoes, but I did have some frozen tater tots, so I substituted those instead in a pinch. So easy and delicious! I saw someone asked but didnt understand if you dont use the potatoes how many points in a serving? We loved this! I used ground beef instead of turkey and left out the potatoes for low carb. I used the homemade taco seasoning you gave. It was excellent! I made this for the first time this week. Good thing it was prepped because i woke up late this morning! Anyway, it is good and easy to make. Definitely will be making this again for a quick and easy and tasty breakfast! Something different for sure! Thank you for all your wonderful recipes. Makes my WW journey so much easier and delicious! Glad you enjoyed it Tracy! Made this today and it was amazing! I didn’t use cheese, but did add a dollop of FF Greek yogurt. I was completely full and satisfied. Absolutely love this recipe! The turkey is moist and packed with flavor, and I had to stop myself from sampling the potatoes. I’m thrilled for breakfast this week!! I saw this recipe on Instagram and it was exactly what I needed. I’d love to see more breakfast and lunch meal prep recipes! Where do you find 99% ground turkey? I can only find 93%. How would that effect freestyle points? This was sooooo awesome! I work from home and have a habit of missing breakfast as I can’t break away to fix something. Having these done and waiting for me each AM was such a pleasant luxury. The flavors in this were awesome! Only change I made was to add black beans to the meat mixture.THANK YOU! I made this for breakfast this morning but I used shredded potatoes because I didn’t have any red potatoes. It turned out great & it tasted great! I’ll definitely make this again. Thank you!!!! We ate this for dinner tonight and have some left for lunches. It was so yummy and rather simple. I entered this recipe into WW and it comes out to 6 freestyle points. 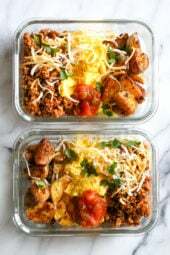 I am loving your meal prep recipes, especially for breakfast! When I can make my breakfasts and lunches on Sunday for the week, it makes the work week so much easier. Would love more meal prep ideas! Yes more meal prep recipes would be fabulous!!! Oh my goodness! This is so delicious! I can’t wait to get up every morning and enjoy it! Thank you, Gina, for these meal plans! I couldn’t live without them. I made my own taco seasoning, too, based on your recipe. It was amazing. I feel so accomplished, and it was so easy to follow the recipe. Every morning I have this, I feel like it’s leftovers from a diner. Can’t believe I made this. Thank you!!!! Outstanding. Made my own salsa. 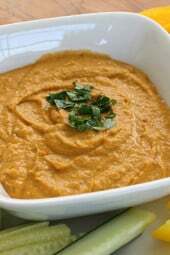 How about substituting sweet potatoes? Sooooooo good! I didn’t feel like using my oven so I popped the potatoes in the microwave (which also saved me fat g from olive oil, which went towards a full-fat Mexican blend cheese). Such a hearty breakfast. I’m usually craving a snack by 10am but this kept me going all morning. Reheats beautifully, too. Please keep the meal prep recipes coming! Thank you! These. Are. Excellent! Even my husband loved these! So easy to prep on Sunday and eat all week! Thanks for all of your wonderful recipes and for considering those of us on special diets (Whole30, etc)… I’d be first in line to buy a meal-prep cookbook from you, Gina!! Thanks again!! Wonderful! I made it last night, ate this morning for breakfast, and there’s plenty more. I used 1/2 white and 1/2 sweet potatoes, used Rotel instead of tomato sauce, and upped the spice with minced garlic, cayenne, and extra cumin and chili powder. I also skipped the cheese and it’s still great. I love a protein-rich breakfast and this was delicious and filling, thank you Gina! My husband and I both absolutely love this recipe. He’s requested that I make it every week now! One of our skinnytaste favorites! Made this today! I taste tested and I can’t wait to eat this tomorrow. 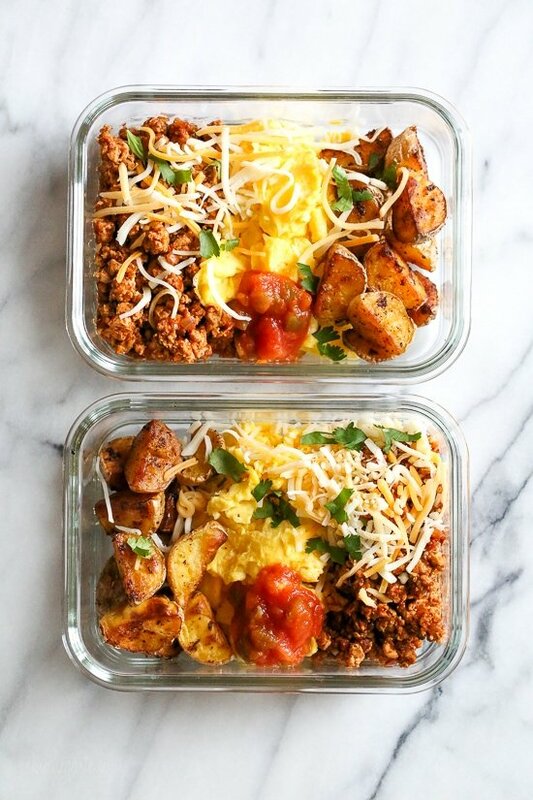 I’d love to see more meal prep ideas for breakfast and lunch! Making this now, but FYI I don’t see anywhere in your instructions where you put your taco seasoning in. I’m assuming it’s with the onion, bell pepper and tomato sauce step. Or am I blind and missin git?? Lol, it is with #5– Meanwhile, brown turkey in a large skillet over medium heat, breaking up while it cooks. When no longer pink add the spices and mix well. Not a fan of this recipie. its way to salty. If I make this again I wont use a tablespoon of salt. I’ve always said if I could eat tacos for breakfast, lunch, and dinner, that I would be the happiest person alive, and now I can, and….I think I love you!!! ????????????. Can’t wait to make this for the week. Thank you!! This was awesome for meal prep this week!!! It was very good. Thank you! delish, I would like more meal prep ideas, so handy when I work! Just finished the last of my taco bowls for lunches this week! Please post more meal prep ideas Gina! This really kept me on track! This recipe was delicious and very satisfying. Absolutely delicious. Used your recipe for the taco seasoning. Great Christmas present idea in mason jars. It was scrumptious! Just made this and everything was waaaaaay too salty for me. I was making it while fielding phone calls and not totally paying attention though. Had I been, I’d have noticed the ingredient list for the eggs say only 1/4 t of adobo salt, but I followed the instructions and it says to add salt in #1 and also in #7 and just ignored one of those. Unfortunately, I added it in both steps. There’s a descrepancy in salt for the potatoes on the ingredient list vs the instructions (#3) as well. That being said, I’ll see if my family likes them. They usually like more salty stuff. As for me, I’ll remake and lower the salt content. It all looked really yummy! Thanks so much for sharing your amazing recipes! I just stumbled across them last week and am eating 100% skinnytaste the last 10 days and am loving the way everything tastes and thrilled with my success on the scale! We LOVED these. Husband was a huge fan! 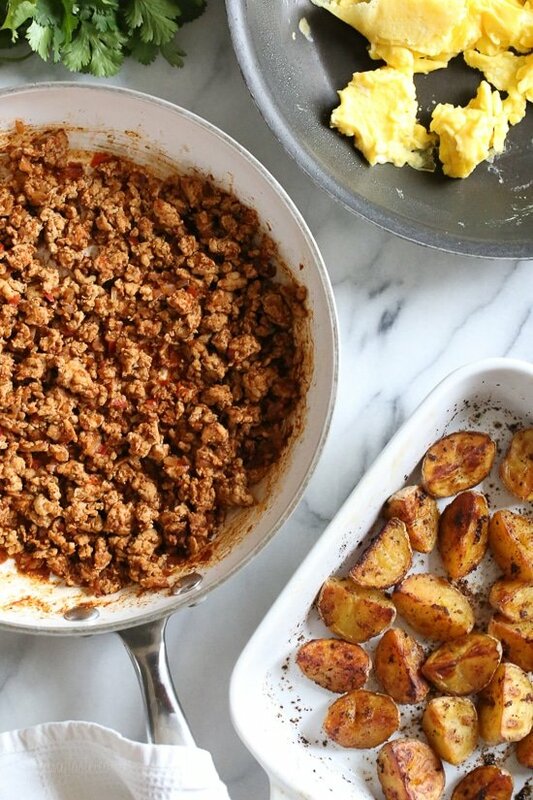 It works so well for batch cooking – I premake a week’s worth of taco meat and potatoes at a time and then just scramble the eggs real quick each morning (i personally have not developed a palate for re-heated eggs). 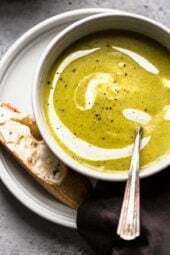 Looking forward to adding this recipe into heavy rotation in our household. Thank you for posting a meal prep recipe. Keep ’em coming! I made this for my husband to take along on the days he works out. After assembling each meal in a storage container, I looked at it and decided it would be great as a burrito. So I sent a burrito wrap with his breakfast and he put everything inside. He said it was very good and also very filling. I made the cleanup a lot easier on this dish by roasting my potatoes on a parchment-paper lined cookie sheet. I also cooked the eggs in the same pan I used for the turkey….just took the turkey out and went to town with the eggs. I found the meat needed more seasoning, so I will probably add more taco mix next time. Otherwise – great basic breakfast recipe that works well to portion out and freeze. This is great especially when you want breakfast for dinner. Delish! This scramble taco bowl is AMAZING!! I made the taco seasoning per your directions and instead of tomato sauce, used Rotel diced tomatoes with Chipotle to give the turkey more kick. Loved them and have a few bowls in the freezer so I’ll comment after eating the frozen ones on how they reheated. Thank you!! Made these last night and had one for breakfast this morning so yummy! So filling I could not finish it. I meant I have the same question in the previous comment. Thanks!! U have the same question as Emily about the cheese. The recipe instructions say to add the cheese to the eggs. Later there’s instruction to top with 1 TB of cheese to each dish. Is this in addition or should I have reserved the cheese for the topping? Such a great idea!!! I meal prep lunches and use other Skinnytaste recipes for dinner. My 11 yr old saw this and wanted it- yay! Breakfast meal prep we all love! Thank you Gina! This was so yummy! I can’t wait to eat it again! Am I missing something (it’s highly likely), but where do you add in the taco seasoning? I’m assuming with the taco meat but I don’t see it in the instructions. Step 5 in the directions. Super delicious! Great filling breakfast. Do we need 4 additional tablespoons of cheese for the potatoes, or do we only put 4 tablespoons in the eggs? I love all your recipes. My family has been living off of your meals for weeks now and have yet to come across one we don’t like. I put the nutritional info provided at the bottom of the recipe into the weight watchers create food calculator and it said the point value was 11 not 5. Is there something I’m missing in the calculation? I’ve been using the point value provided at the top of the recipe for a while but am wondering if I need to adjust the figures going forward? Thanks again for providing such AWESOME recipes! I’m not familiar with weight watchers but she gives 2 values at the end: Freestyle Points: 5, Points +: 11. Are you possibly using the points + calculator? Just a thought. Freestyle Points: 5, Points +: 11……. there are only 5 points if you are using the free style point system but 11 if you’re using points plus. Freestyle has over 200, 0 point foods eggs and 99% ff ground turkey being two of them so they wouldn’t be counted using free style. Hope this helps. Im loving the freestyle system by the way. It makes tracking so much easier and I try to eat mostly from the 0 point list. Look it up and download the list and keep it on you it’s awesome. This looks so good. I’m doing it this week. I love the free meal plans. It’s apparent how much effort you put into the plans and just know that it is always SO appreciated! You’re amazing! Don’t you think I could sub tofu for the meat part of the recipe? Would you use firm or extra firm tofu or would it matter? Thanks! I made it with firm tofu. I actually baked the crumbled tofu (with the seasoning) at 350 for about 30 minutes the night before. Then it was a breeze to throw together the next day. I really liked it! How much protein in one bowl? Did you include cheese when getting the 5 freestyle points per serving? This looks AMAZING! I include only what is listed under ingredients! Thank you! The only way I stay on track is by meal prepping on Sundays! Please keep recipes that last for 5 days coming!!! Plan on making this as a change to my breakfast sandwiches!! Thanks. It looks delicious. I am so excited to try this! Was the salsa accounted for in the macros or should I add that in my own; if it was included; how many grams or tablespoons did you account for? What’s the Freestyle Points value without the potatoes? Love this! Thank you for providing some breakfast meal prep recipes 🙂 I prepped your sweet potato and chicken hash last week (I also threw in some spinach) and it was great! Just to clarify. You can make the entire meal (cook the eggs and all), put it together, and it will still be good for up to five days? My husband is scoffing at that since he’s always said you can’t eat cooked eggs that are more than one day old. It is totally fine to eat cooked eggs after one day! Quiche’s are made with cooked eggs and those can be eaten over the course of a few days. Maybe he just doesn’t like the texture of re-heated eggs? When you reheat it won’t the eggs get rubbery? If making this on a Sunday, how long is this good for in the fridge? yummy this looks soo good! Making it this weekend for the week ahead! GINA- can portions of these be frozen ? That would be amazing! I would enjoy a meal prep cookbook from Gina SO much!! Ohhh, would love a meal prep cook book! These look great! Thank you Gina! How long will these stay good for in the fridge? What’s the best way to reheat these? Hey Gina….! It was awesome and this looks sooo good and delicious, I really enjoyed your recipe and I will try to making this in upcoming weekend. Thanks for sharing….! Can I freeze this? I tend to make all my meals on Sunday for a full week. Any suggestions for a good meal prep breakfast that isn’t oatmeal, that stores well for the week and can possibly be frozen? Thanks!! I think this would freeze and reheat fine! Thanks Gina for the meal plans…love it! 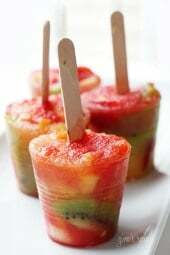 Definitely making this this weekend! Also the stuffed bagels are on my menu list! Love all your recipes!! Do you use a specific type of containers for meal prep? Thanks!